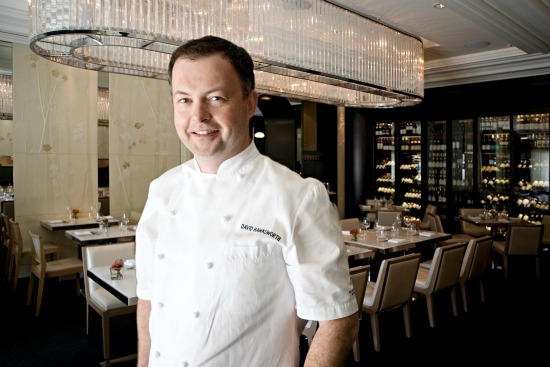 David Hawksworth is one of Canada's leading culinary talents. 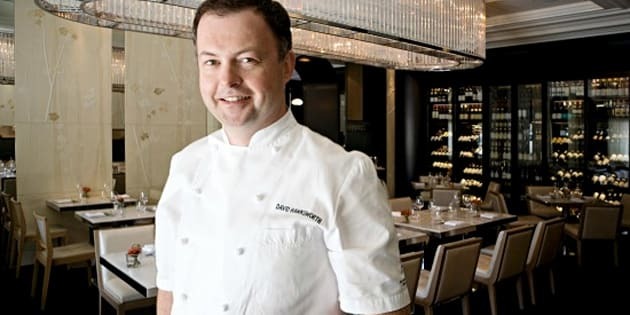 At Hawksworth Restaurant he has created the ideal setting to deliver compelling contemporary Canadian cuisine, a demonstration of his European-trained technical ability, deep appreciation for local ingredients and an absolute insistence on only the very best quality. For the second year in a row, Hawksworth Restaurant was named Restaurant of the Year by Vancouver Magazine, as well as Best Upscale Dining, plus Chef of the Year (again!) for David Hawksworth, too. We're lucky to have Chef Hawksworth curate the latest CHEF'S BOX food of the month club for FoodiePages.ca. Below he shares the difference between London and Vancouver, the most romantic thing he's done for a girl and his top 5 favourite restaurants of all time. Signature dish: Very seasonal menu, we never keep anything on that long, love working with fish and shellfish and whatever is best at that time of year - quality, presentation and flavour are what we are known for. I have a few: pairs of skis, 5? The taste I couldn't live without: Acidity, citrus, pizza from gjelina. If my kitchen could talk, it would say: I wish it could so I would know which piece of equipment will break down next. Most romantic thing I've done for a girl: Propose at Le Gavoroche in London....thankfully she said Yes! My Top 5 Meals: Giro -- Toyko, David Kinch's Manresa -- Los Gatos, Alain Ducasse -- Monte Carlo, 11 Madison -- New York, Harveys -- London (back in the day when Marco Pierre White was just making the big time).